In 2016 it became clear that SBB Cargo from Switzerland had placed an order for two Alstom H3 hyrbid shunter locomotives. The 100 km/h, 3-axle machines have a diesel engine and a battery pack. Now the first one is in Switzerland. The locomotives that are for SBB Cargo are the designated 90 80 1002 022 and 023. The first one was transferred to Basel in Switzerland on 26.06.2017. The machine is painted blue with red and yellow details. 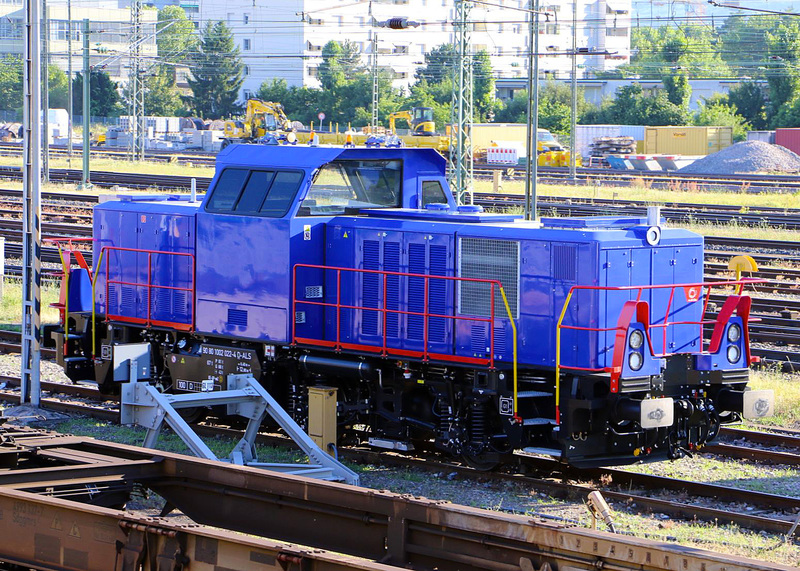 The colors comply with SBB Cargo’s colorscheme, but up till now the machine is not sporting any logos. Let’s see what will happen here. Before SBB Cargo decided to buy H3 locomotives, unit no. 1002 005 was tested in 2015 in Basel, Dietikon and Suhr.